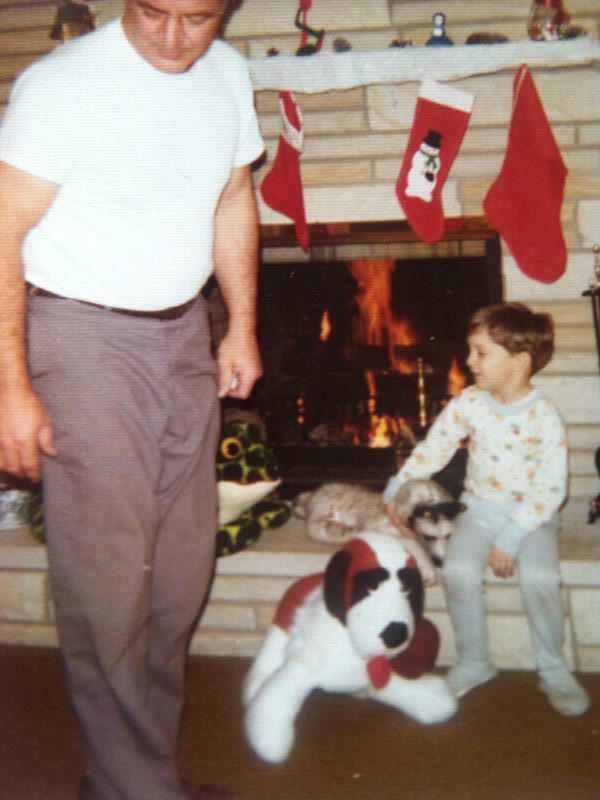 Early Christmas memories of my Dad – yes, I have on my favorite slippered pajamas! 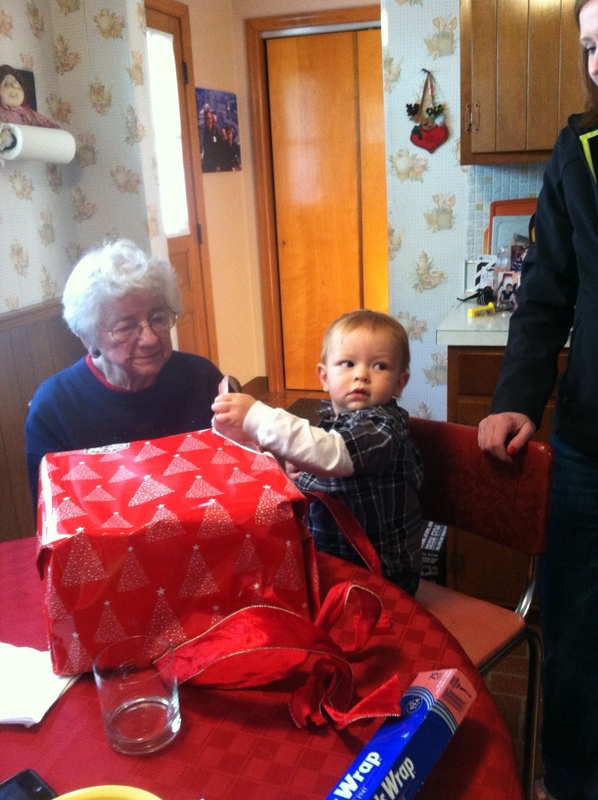 “Grandma” is actually my mom – and although she will turn 90 this coming year – she still hosts the entire family at her house on Christmas night – a tradition I can remember all the way back to when I slid around the kitchen floor in my slippered-bottom pajamas. As the youngest of 6 – I can tell you that even beyond the excitement of Christmas morning and what might be under the tree – I always looked forward most to Christmas night. It was then that my older sisters, who were newly married and starting families of their own – would make their way back to Mom and Dad’s house along with Aunts and Uncles for Christmas dinner – and a night of games, cards, food and fun. The tradition carried on year after year, and with each new sibling that married and began a family of their own – “Christmas Night at Grandma’s” grew a little bigger. And it still grows today – some 40 years later. In fact, at last count – some 60 to 65 of us will all make it back this Christmas night to, in the simplest of words – celebrate Christmas and Family. It always unfolds in the same spirited manner. First – everyone arrives through the back door, with arms full of food and children in tow – and before long, you can’t move or hear from all of the 50 or so conversations going on. 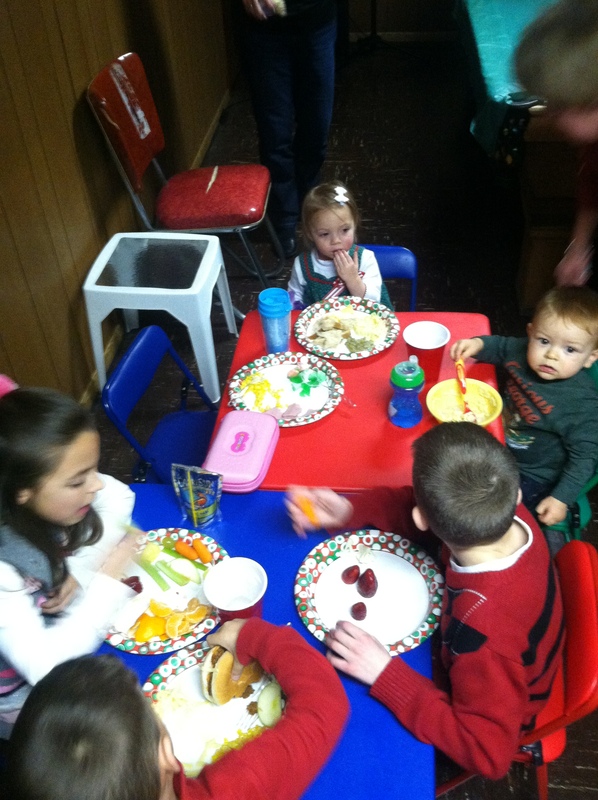 We all laugh each year that with a wide open house – the party always starts with 60 of us smack dab in the kitchen. I always feel a little sorry for first-time girl or boyfriends that are brought to the event – I’m sure they have to be wondering what they got themselves into! At some point, Grandma gets enough of us to finally make our way downstairs to the basement that my Dad finished over 40 years ago to hold these events. I am sure if he were alive today, he would be mighty proud to see his extended family enjoying the fruits of his labor. The pot-luck dinner, which is always scheduled to begin at 5 or 5.30, really begins each year closer to 6.30 because of all of the commotion, talking and fun. After dinner and a spirited white-elephant family gift exchange that is more comical than anything else – we end the evening with another long-standing tradition – “The Family Film’. A full featured film put together by my brother each year from hundreds of photos and videos taken by each of the families. The film has grown so popular that each family member now has their own personal DVD collection of each year’s film. But no matter what – it is the family time that means the most. I am quite positive if you asked any of my four sisters or brother – any of the 18 grandchildren – 16 great-grandchildren, in-laws, boyfriends and special guests that are in attendance each year what they look forward to most about Christmas Night at Grandmas – it would have everything to do with family and togetherness – and not a single thing to do with presents or anything “commercialized” about Christmas. It is real, it is fun – it is loud – and more than anything else – it is about family. 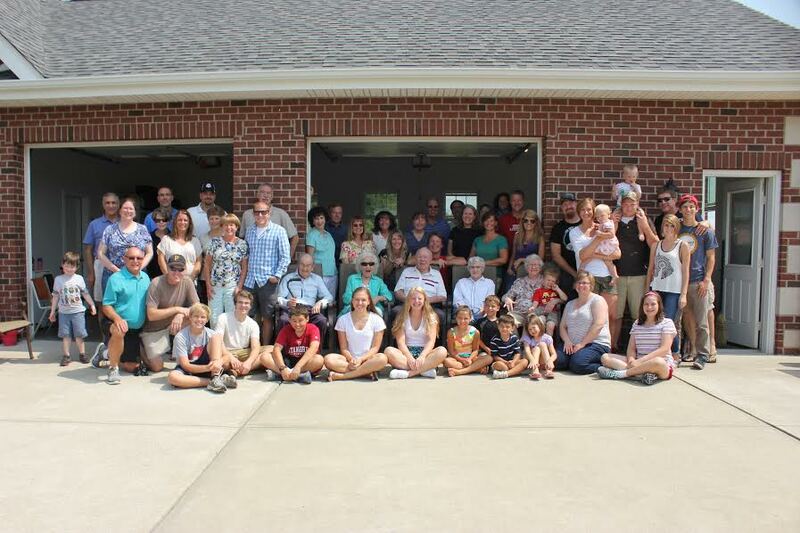 The “family” at a reunion this past summer – a little bigger every year! Over the years, there have been many that have come to the annual gathering that are no longer with us – and every year, at the blessing before dinner, we take time to remember them and their memories as well. At any point of any year you can look around at everyone that is gathered – see them playing cards, telling stories, laughing and with kids playing – and realize, it simply doesn’t get any better. Sometimes I have to stop and realize how fortunate we have all been to be brought up in a family that values FAMILY. So with that, from our family to yours, we wish each and every one of you a Merry Christmas and a Happy, Healthy and Prosperous New Year. ← Overnight French Toast Casserole Recipe – Breakfast Heaven!